There are many factors to consider when choosing the care provider who will attend your baby's birth. Today we're going to unpack a few of those considerations and give you some ideas for questions to ask when meeting a care provider to help you make your choice. Consider where you want to birth your baby. Your options for a care provider will be limited by your birthing location. For example: Most obstetricians work only in hospitals. Someone who is planning a home birth may not have the option of having an obstetrician at their birth. Consider whether the place of birth is more important to you or whether having a specific care provider is more important to you if faced with such a situation. Trust your intuition. It's there for a reason. If you just seem to “click” with a certain care provider, that might mean they are a good choice for you and your family. On the other hand, if you meet with someone and have an uneasy feeling about them, you may want to find another care provider whom you feel better about. Consider a care provider's philosophy on birth. Are they pro-natural birth or are they more comfortable when birthing women are medicated? Do they view birth as a natural, normal event that occasionally needs intervention? Or do they view it as a potentially dangerous situation that needs swift and frequent intervention? How does their stance line up with your own? Let's take a moment to clear something up. It is never to late to change care providers. While it is true that the options may be more limited late in pregnancy, making a swap is always a viable option. If a care provider who originally seemed like a great fit begins to seem like not-so-great a fit, you have the freedom to change your care provider at any time. Please be confident in doing so, if necessary. The following questions are some suggestions of things you may want to ask a potential care provider. Some questions may not apply to you or the care provider. It may also be helpful to draw up a list of things that are most important to you for your birth and ask your care provider how they feel about that list. *Note that there are several links in this list. Where do you attend births? If you attend births at more than one location, where do you prefer to attend births? What are the advantages and disadvantages of each? What tests are done during pregnancy? How are negative/positive results handled? How often should I see you during pregnancy? What are some reasons why I might want to call you between visits? At what point in pregnancy do you do routine vaginal exams? Are you open to limiting or eliminating routine vaginal exams in pregnancy? Have you ever done a membrane sweep without a woman's knowledge or consent? How many ultrasounds to do you recommend during pregnancy? Do you like attending non-medicated births? Do you prefer medicated births? Why? What is your current cesarean rate? What are the most common reasons for cesarean? What is your current induction rate? What are the most common reasons for induction? When should I call if I suspect my birthing has begun? When should I go to the hospital/birth center? OR When can I expect you to arrive at my home? What is your stance on using a tub during my birthing? What is you stance on water birth? During my birth, am I free to use whatever positions I desire? During the pushing phase am I free to use whatever positions I desire? Will you wait to cut the umbilical cord until is stops pulsing? Will my partner be allowed to cut the cord? Will my baby be given to me immediately after birth? Do you have any considerations or questions you would add to this list? We'd love to hear them in the comments! My introduction to doulas came when I was 36 weeks pregnant with my first child. My midwife looked at me and said, “You need a doula.” I had no idea what a doula was, but she gave me an email address for an amazing doula who eventually attended the birth of my first. When my first little guy was just 7 months old, I found out that I was pregnant with my second. I promptly called my doula friend who said, “You need Hypnobabies!” I signed up and took the Hypnobabies class she was teaching at the time and never looked back! My Hypnobabies birth was amazing! My husband and I could hardly believe that birth could be so comfortable and calm! After a fabulous second birth experience I decided that I wanted to be a part of helping families have the best birth for them. I started by becoming a doula. I trained with DONA International and in 2014 I decided to begin the process of becoming a Hypnobabies Instructor. I was officially certified as a Hypnobabies instructor and Hypnodoula in June of 2015. I love helping families become educated about childbirth and supporting them through pregnancy. In 2016, I officially completed the Becoming Dad Certification process and am now "Becoming Dad Certified." Where do you see yourself birthing your baby? Generally, there are three options: hosptial, birth center, and home. Each has it's own unique set of benefits and drawbacks. Let's dive in and see if you can discover which one is right for you. Remember: This is YOUR baby's birth. It does not matter what your mother, sister, best friend, or doula thinks about these options. It matters what YOU think! While hospitals have become the most common place to have a baby, that was not always the case. Through most of history babies were born at home, attended by the various women in the birthing woman's life and/or a midwife. In fact, by the 1930's only about half of all births happened in hospitals. About 40 years later in the 1970's almost all babies were born in a hospital. There are some definite benefits to birthing in a hospital, and a few drawbacks as well. Timing arrival at the hospital can sometimes be tricky. Too early may mean repeated trips are needed. Waiting too long may mean a birthing woman doesn't have time to arrive. Greater access to medical equipment sometimes leads to a greater reliance on them. It can be difficult to rest in a hospital setting. Many expectant women who are designated low-risk have the option of birthing their baby at home under the care of a midwife or supportive doctor. Home births ease the postpartum time by allowing a woman to stay home after birth rather than transferring home after her birth. In the unlikely event of a complication requiring significant intervention, a transfer to the hosptial may be needed. This transfer can sometimes be traumatic. Some parents are less comfortable at home because there is less medical equipment available. Birth centers are not available everywhere, but in places where they are available they can be a good alternative to both hospital and home births. They are a kind of an “in between” option for those who like some of the benefits of both. Others are nearer the hospital than some homes. This gives some parents peace of mind to know that a transfer could be done much more quickly from the birth center than from home. Just as for hospital births, timing arrival can be an issue. Are you someone who has already had a baby in one of these places? What would you add to this list for those considering birthing there? What Do You Want For Your Birth? When it comes to pregnancy and birth, there really isn't a “one-size-fits-all” strategy. Different things are important to different people. An unmedicated birth may be of the utmost importance to one mother, while an epidural may be of the utmost importance to another. Neither is necessarily better or worse than the other, they are merely unique choices made by unique individuals. Each choice that we make carries it's own set of risks and benefits. It's often best to educate yourself on these risks and benefits before birthing begins. Knowing these risks and benefits ahead of time makes the process of decision making “in the moment” much easier. What kind of experience do YOU want? What does your ideal birth look like? Sound like? Smell like? Feel like? What kinds of support do you have? Who is there with you? What words would you use to describe your overall birth experience? There are many words you could use. What words come to mind? Think about the early part of birth. The time when you may still be wondering, “Is this it?” Where do you imagine this happening? What do you want this experience to be like? What will you be doing? Who will be with you? Who will you tell? Who will you NOT tell? Think about where you want to birth your baby. Is it at home? The spa-like atmosphere of a birth center? In a hospital? Which option feels right for you? If it is somewhere other than home, when will you go? How do you imagine getting there? What will you do on the way? What will happen once you arrive? What do you want your care provider(s) to do for you? Or not do for you? What kinds of things will give you peace of mind about the process? What options do you want when you are pushing? What positions do you want to try? Where do you want to push? After your baby is born, what do you want the immediate postpartum period to be like? Will baby be placed on your abdomen? Do you want baby taken to be checked out first? Who will cut the cord? Do you want to breastfeed immediately? Do you plan to bottle feed? Visualizing your ideal birth in this way can be helpful to you in creating an excellent birth for yourself and your baby. It is helpful when making important during pregnancy and also during birthing. As you educate yourself on what choices you have, your answers may change, and that's ok! The important thing is to be proactive in seeking the best birth for you and your family, and making the decisions that are right for you. Sometimes when an expectant mom decides that she wants a doula, she is met with a bit of resistance from her birth partner. The birth partner may feel that the doula will take their place and that they will not be able to be as much of a part of birth as they want to be if a doula is there. Many of them feel that they have sufficient skills to support the birthing woman, especially if they have taken a good childbirth education course. The birth partner may also feel that a doula is an unnecessary expense. Today I'm going to give birth partners 6 reasons why having a doula is a benefit to you! ​​1. Doulas Make Sure Partners Are Taken Care Of! While the focus of birth is on the mom and baby, birth partners and dads also have needs during birth. You may need to eat a meal, brush your teeth, take a nap, take a walk, get a shower, change clothes, etc. Having a doula gives you an opportunity to do these things without leaving mom all alone. Not only that, a doula may be able to help you know when a its a good time to do these things. 2. Doulas help birth partners be involved. Even birth partners who are well-prepared for birth may find a moment or two when they are unsure what to do or how to help. A doula will look for opportunities for a you to be as involved as you want to be. It may be as simple as inviting you to a particular place where you can be close to mom when space is limited. It may be that the doula reminds you of things that you learned about in your childbirth education class, or in meeting with your doula, that may be helpful. It may be that a doula shows you just exactly what kind of massage or what kind of support may be helpful in a particular moment. 3. Doulas help birth partners relax. In addition to giving you a chance to take a nap, a doula helps you relax about the process of birth and about things that may be happening in the room. If at any point there is confusion or concern about what is happening, a doula can help explain things to you which often gives birth partners peace of mind. 4. Doulas give birth partners freedom. In two different births that I have attended, a birth partner who had been planning to be present during the entire birth was, for their own reasons, overwhelmed and needed to leave the room for a while. They had the freedom to do so because they had hired a doula to stay with the birthing woman while they left. Birth is an emotionally rich time and birth partners are sometimes surprised by just how and when those emotions hit. A doula gives you the freedom to feel those feelings while the birthing woman is still supported. 5. Doulas give birth partners a team mate. It is fairly common for a birthing woman to need physical support, massage, help with positioning and other things that may be physically demanding for her birth support team. When a birth partner is taking this responsibility on themselves it can be exhausting. Sometimes they become too tired to effectively support the birthing parent in those ways anymore. When you have a doula present you can each take turns supporting a mom and keep yourselves from wearing out. In addition, when you both are present you can do things together that one of you alone could not do. For example, the birthing woman can lean on one of you while the other provides massage or counter pressure. 6. Doulas Love Birth Partners! We do what we do because of our love for the birthing family. We recognize how much your presence at birth means to the birthing woman. If you and the birthing woman are in a committed relationship, then there is no possible way that a doula could replace YOU in the birth space. As a doula looks for ways for you to be involved in the birth process she will also seek to recognize when it is YOUR presence that will be most helpful and when she needs to take a step back. She will give you privacy when it is needed and hopes to help you BOTH have a positive birth experience. It is sometimes said that “Doulas make Dads look good!” This is true for all birth partners. When you have someone there to cheer you on and help you out, you get the credit for being an amazing support for the birthing woman! videographer. We have three beautiful cats (which is admittedly too many), two fish, and a gazillion “rolypoly's" outside that the kids claim as pets. I enjoy gardening and researching everything. When my first little guy was just 7 months old, I found out that I was pregnant with my second. I promptly called my doula friend who said, “You need Hypnobabies!” I signed up and took the Hypnobabies class she was teaching at the time and never looked back! My Hypnobabies birth was amazing! My husband and I could hardly believe that birth could be so comfortable and calm! After a fabulous second birth experience I decided that I wanted to be a part of helping families have the best birth for them. I started by becoming a doula. I trained with DONA International. In 2014 I decided to begin the process of becoming a Hypnobabies Instructor. I was officially certified as a Hypnobabies instructor and Hypnodoula in June of 2015. I love helping families become educated about childbirth and supporting them through pregnancy. In 2016, I officially completed the Becoming Dad Certification process and am now "Becoming Dad Certified." When I meet with expectant couples for a consultation, they often want to know how I, as a doula interact with hospital staff and/or their midwife and assistant(s). It is an excellent question! Today I'd like to clear up any confusion about how a doula fits into the birth team. A good doula aims to be a team player. The doula's focus is on the birthing woman and her partner. Often the way in which she helps the birthing couple is helpful for the hospital staff as well. A doula facilitates communication between the birthing couple and the hospital staff. This is helpful for the birthing couple AND the hospital staff. Also, a doula takes care of many of the emotional and physical needs of a birthing couple. This may mean that the couple is less reliant on nurses and care providers for those needs. The nurses and doctors still offer some level of support and encouragement, and they are able to keep their attention where it is most needed. Will the doula get in the way or interfere? No! A doula strives to be out of the way and to not interfere with any medical procedures that are being done. Occasionally a doula may find herself in a less-than-ideal position and she will do her best to move out of the way so that hospital staff can do what they need to do and do so in such a way that the birthing woman continues to feel supported. Will the doula tell the staff what to do? No! That is not a doula's place! A good doula empowers the birthing couple to make their wishes known. A doula will never tell hospital staff what a birthing woman wants, needs or should do. And she will never tell the staff what THEY need to do. The doula may ask questions if she feels that the answers will be helpful to the birthing couple. She may remind the birthing couple that they had wanted to do (or not do) something. She may even alert the couple to things that are happening that the couple may otherwise be unaware of. But she does not tell the staff how to do their job! At a home birth a doula's job is much the same as at a hospital birth. A midwife is usually focused on the whole woman – physically, emotionally, and medically. This means that the addition of a doula is very helpful, especially for moments when the midwife and/or her assistants need to be focused on the medical elements. Having multiple people present who are focused on the birthing woman and her growing family is often helpful. A doula will not tell a home birth midwife or her assistants what needs to be done, but will help ensure that the birthing couple is empowered to speak for themselves. The first time I learned what a doula was, I was 36 weeks pregnancy with my first child. My midwife told me that I needed a doula. I had no idea what a doula was. She briefly explained to me what a doula was and gave me an email address for a fabulous doula. 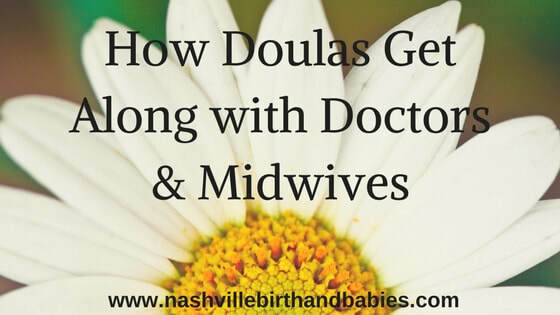 If you are in a similar boat, pregnant and with no idea what a doula is; this post should clear things up and help you decide if having the support of a doula is right for you! In previous decades a doula might have been referred to as a “labor coach.” A doula provides emotional, informational and physical support to a birthing person or couple. Let's break that down a little bit. What do those types of support look like at a birth? Informational support: While a doula cannot provide medical advice or opinions, she can help you get the information that you need. A doula can help facilitate discussion and help you to understand the information that your care provider is giving you. Informational support really extends into the “before birthing” time as well. Ideally, you will know most of their birthing options before birthing begins, and while a childbirth class is the ideal way to get this knowledge, a doula can help to fill in the gaps, help you better understand the information you've learned, or maybe even help you to understand what kinds of information you need to know ahead of time. Physical support: Physical support is perhaps the broadest category of support that a doula provides. This can be everything from massage, to supporting a leg, to supporting a birthing woman while her partner gets a meal. Physical support is often a physically demanding part of the process of birth and birth partners often find it helpful to have someone else to tag team with for this part. What a Doula doesn't do. There is sometimes some confusion about the difference between a midwife and a doula. Many people are under the impression that a doula is “kind of like a midwife.” But there are some significant differences in our roles. The primary difference is that a doula is NOT a medical professional. Ok, that may be overstating it a bit as there are some doulas who are also medical professionals, but they are medical professionals IN ADDITION to being a doula and not because they are a doula. Nurses, midwives, and doctors are great at performing all of the medical tasks. And most of them genuinely care about the women, babies, birth partners and families that they serve. As such, many of them also care about the emotional health of everyone involved. 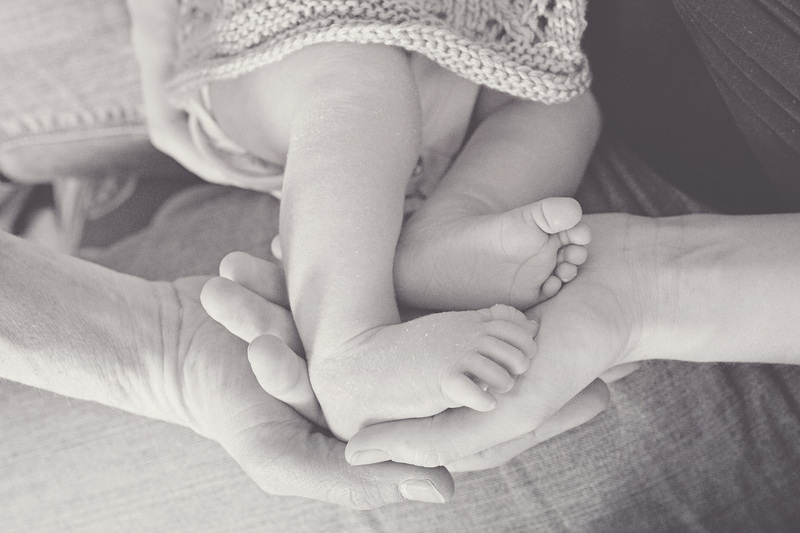 Having a doula at your birth means that you have someone with you who is dedicated solely to your physical comfort, emotional well-being, and who is helping to empower you to make the choices that are right for you and your growing family. I am a homeschooling mom of two little boys and wife to a musician who also works as a freelance videographer. We have three beautiful cats (which is admittedly too many), two fish, and a gazillion “rolypoly's" outside that the kids claim as pets. I enjoy gardening and researching everything. 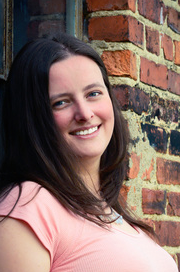 Kayla Smith, Birth Doula and Hypnobabies© Childbirth Instructor writes a four part blog series on Nashville, Tennessee childbirth education options. Today's topic is on childbirth education misconceptions. Kayla chose to become a doula after a fabulous second birth experience. She decided that she wanted to be a part of helping families have the best birth for them. She became a Hypnobabies© Childbirth instructor in 2015. She loves helping families understand their options during pregnancy and birth. To learn more about class options click here. As promised, I am back today with more information about your Hypnobabies options. If you are unfamiliar with Hypnobabies©, you can click the Hypnobabies© tab on our website, look at my last post, or check out the Hypnobabies website for more information. Without further ado, your Hypnobabies© options. This may be the most common way to take a Hypnobabies© class. With this option, you will attend a three to three-and-a-half hour class each week for six weeks. Group classes may have anywhere from three to six (and occasionally even 7) couples and/or single mothers. This gives you the most access to your instructor and gives you the benefit of building relationships with the people in your class. This also helps to keep you accountable for going to class and getting the information you need each week. Your Hypnobabies© instructor helps to make sure you understand what is being taught and is available to answer questions as you go. You may also benefit from the unique perspectives and questions of your fellow students. Like the commitment of the 6-week class and the idea of having access to your instructor, but need a small amount of flexibility or just want to take the class in a private setting? A private class may be the option for you. With this option, the Hypnobabies instructor teaches the same 6-week class mentioned above in a private setting, usually your own home. This tends to be a more laid back approach. There is also a small amount of flexibility with this option. If agreed upon ahead of time, some of your classes could be scheduled a day before or after your usual class day. Or if you needed to miss a class, you could pick up the next week where you left off; no make up classes needed. A private Hypnobabies© class is also much more convenient, especially on weeknights. You may have to fight the usual traffic if you work outside your home, but then you can relax and let your Hypnobabies© instructor come to you. In addition, some mothers who are having a homebirth with a midwife appreciate taking their Hypnobabies class in the same location where they will be giving birth – their home. Hypnobabies© Homestudy may be a good option for you if you have a difficult time committing to a six-week in-person course. It also tends to be a little bit less expensive than the in-person class. If you read my last post you well know that two of the downfalls of a self-study program is the lack of accountability and the lack of ability to ask questions and get help when you need it. One way to get around these issues is also signing up for Homestudy Advantage with a Hypnobabies© Childbirth Hypnosis Instructor. With this option, you will contact a Hypnobabies© instructor in your area and tell them you are interested in taking the Homestudy Advantage. 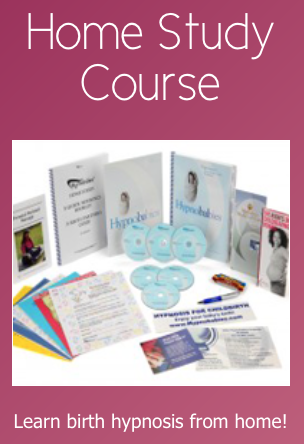 Most of us have an affiliate link for you to order the Homestudy course directly from Hypnobabies©. Of course, you have the option to order it without the affiliate link, however, we are very grateful when anyone does order through our affiliate link. Once you order the course directly from Hypnobabies, you will also pay a fee to the Hypnobabies instructor for their time teaching the home study advantage. The home study advantage lasts 2-3 hours depending on the student. Then, the Hypnobabies instructor will be available to answer questions as you go through the Homestudy courses. When you finish the Homestudy course, the instructor will get together with you to make sure that you understand how all of your hypnosis tools work together and answer any remaining questions you may have, as well as do a birthing rehearsal with you and your birth partner(s). If you would like more information about our Hypnobabies classes, please contact me at Kayla@nashvillebirthandbabies.com or call us at 855-905-BABY (2229). I hope you have found this series about childbirth education helpful! What else would you like to know about Hypnobabies, childbirth education, or birth itself? We'd love to hear from you! What are my childbirth class options? What are my Childbirth Education options? Ok, so you've decided that childbirth education is a good thing, and you've figured out some possible ways to make it happen for you. Now, which childbirth education course or methodology should you choose? There is a seemingly endless sea of options, especially in a larger city. Nashville may not be as big as some, but you don't need to be told that it is growing at a fast rate. We also have a large range of childbirth education options to serve all those people. Here, I'll give you a quick list of your options and how to narrow it down. These classes are generally one-day classes meant to give you the very basic information about childbirth. These classes typically give you information about the hospital itself, hospital policies, and pain relief options that are available to you. They will usually give some limited information on relaxation and pain management techniques that you can do on your own. These are definitely the least time-consuming classes to take, and often the cheapest, although they do tend to present the least amount information to you. A quick Google search will bring up quite an impressive list of online childbirth education courses and/or self-paced home study courses. Most of these do charge a fee similar to the fee you would pay for an in-person class. A few are totally free. These provide varying levels of education and preparation for your childbirth experience. In general "you get what you pay for." One of the biggest benefits to taking an online childbirth education or home study course can also be its biggest drawback: they are self-paced. This aspect makes them a great fit for a busy schedule, but then again, if your schedule is that busy, are you really going to force yourself to sit down and do the work? You know you better than I do. Are you willing to stick with it, be self-motivated, and make time to get through the course? Or do you do better with some accountability? Another benefit can be the cost. As I mentioned, some of these are totally free. These are also great for those of us who are Super-Introverts (insert epic superhero music here) and would prefer to take a course from the comfort of our own home. Another drawback, of course, is the varying levels of ability to ask questions and get personalized attention from an instructor. These are much easier and more likely with an in-person class. The quick list: Hypnobabies Home Study, Baby Center Online Childbirth Education Course, Birth Boot Camp, Mama Natural, Lamaze, Fit Pregnancy, and more! These classes are sometimes one-day "crash courses" and sometimes a series spanning anywhere from 6 to 12 weeks. Getting started in a series-type class can be a time-sensitive issue. If you take the class too early, you may forget some of the important information, but if you take it too late you may have your baby before you finish the class. There are quite a lot of benefits to taking this type of class. First, is the personalized attention from your childbirth educator. During an in-person class, you are able to ask questions as they come up, and learn from the questions that other couples ask. A childbirth educator may also be able to tailor the class to meet the unique needs of the students in her class. Another big benefit of this type of class is the accountability. You already know when you are going to go to each class and can set that time aside beforehand. Then, if there is any work to be done between classes, you will be more likely to get it done when you know the other students in your class will be doing theirs. Relationship building is another potential benefit to this type of class. You will meet new couples who are also expecting a new baby, most likely around the same time you are, and you will be able to build relationships with them. Although, for you introverts, sometimes these are able to be done as a private class, either in your home or in another location. Hypnobabies, Lamaze, Birthing from Within, Nashville Childbirth, Roots Childbirth, Transitions Childbirth, Bradley Method, Nova Childbirth Education, Alpha Childbirth, Hypnobirthing. You may have noticed that a couple of the courses listed above are listed both in the "Online and Home study" section and the "Live, in-person" section. One of these is Hypnobabies. Hypnobabies has a special place in my heart. As I've mentioned in previous posts, I did not take a childbirth education course before my oldest was born. When I was pregnant with my second, I took Hypnobabies and I never looked back. My Hypnobabies birth was such a positive experience for me, I decided I wanted to be a part of helping women and families have the best births for them. I started as a birth doula, and later became a Hypnobabies instructor and Hypno-Doula. I really appreciate that Hypnobabies gives complete information about the pregnancy and birth process, gives unbiased, well-sourced information about the benefits and risks of various interventions, and gets families thinking about the postpartum period. I especially appreciate that Hypnobabies does this while utilizing post-hypnotic suggestions, hypnosis cues, and daily affirmations to help expecting parents enjoy pregnancy and birth to the fullest! If you would like more information about Hypnobabies, please check out the Hypnobabies tab on our website, check out www.Hypnobabies.com, or "tune in next time" when I will give more info about your Hypnobabies options. Often when expectant couples are deciding what things to do to prepare for a baby, childbirth education comes up. There are many reasons to take a childbirth education class as discussed in the previous post. However, once a couple is convinced that childbirth education is a good thing to do, there are still barriers that can get in the way. Today we will face some of those barriers and see if we can help you figure out some creative ways to break through them. Barrier #1: I don't have the money. Strategy: Ah, yes. Having a baby can be expensive. Medical care for you and the baby, new furniture for the baby, clothes for the baby, a new car seat, diapers, a doula, childbirth education, and the list seems to just go on and on. If money was on the tight side before you began this new adventure, childbirth education can seem like a luxury. If you've read my last post, you may see why it is more of a necessity. Childbirth education gives you the tools you need to make good medical decisions for you and your baby, and some of those decisions may even save you money in the long run. Even so, it may seem like more than you can shell out in order to gain that education. I encourage you to talk to childbirth educators whose classes you are interested in taking. There may be less expensive options available to you, and a childbirth educator may be willing to work with you on a sliding scale or payment plan. Often a childbirth educator would rather have a space in their class filled with someone who genuinely wants to be there and gain the information they are offering than have that space go unfilled. If you can show them how interested you are in that class, they just may be willing and able to help. Be brave and willing to ask. The worst case is they say no and you will need to contact someone else. Barrier #2: I don't have the time. Strategy: Time is something we all seem to be short on these days. Work, housework, errands, social engagements, volunteer efforts, caring for older children, etc. all seem to get in the way of having downtime, sleeping an adequate number of hours at night, and even taking a childbirth education course. It may feel like you just can't fit one more thing into your hectic schedule. That is certainly understandable. But let's think about this another way. When have you ever had a better excuse to take some time for yourself? This is the time that you will look back on fondly as you remember giving yourself and your baby the time, attention and energy that you both deserve. Still feel like time constraints are going to be a factor? Talk to the childbirth educator whose class you are interested in. They may have some good time-saving solutions for you. Some may offer an intense, weekend-long "crash course," a private course of study, or a self-paced study. There are options available to you! Barrier #3: I have an unusual family situation that makes taking a class seem intimidating. Strategy: Perhaps you are an LGBT family and fear how a childbirth educator or the other couples in class will respond to your presence. Maybe you are a single parent. Maybe you are a surrogate, or your baby is going to be adopted after birth and you feel like you will be the odd person out in a class of couples who are planning to take their babies home with them. Or maybe you have another situation that I haven't thought of. Many (if not most) childbirth educators are accepting of LGBT students, single mothers, surrogates, and birth mothers of adopted children in their classes. Often, even the other students who may disagree with or misunderstand your family situation won't do or say anything in such a public setting, and childbirth educators are likely to put a quick stop to any derogatory or emotionally unsettling language. Still, you may feel better taking a private class with an educator you know is accepting and supportive of your particular situation. Just let the educator know what your situation is and what you are and are not comfortable with. You may be able to find a mutually agreeable situation. Barrier #4: I'm on bed rest. Strategy: Talk to childbirth educators in your community! Many of them offer private classes and/or support for self-paced courses that you can do at home. Do you have a barrier that I haven't talked about? I'd love to hear about it and help you come up with a possible strategy and solution! Let us know in the comments and/or in an email! We'd love to hear from you! Childbirth Education Misconceptions-What You Need To Know! Kayla chose to become a doula after a fabulous second birth experience. She decided that she wanted to be a part of helping families have the best birth for them. She became a Hypnobabies© Childbirth instructor in 2015. She loves helping families understand their options during pregnancy and birth. To learn more about her class options click here. I talk to people about childbirth all the time. As a childbirth educator and birth doula, it's really just part of what I do. And most of the people that I talk to either have taken or are going to take a childbirth education course of some kind. Occasionally, people are reluctant to take a childbirth education course. Many of them have some misconceptions about birth and what childbirth education is all about. Today, I'm going to tackle some of these misconceptions and tell you why I think everyone should take a childbirth education course. Misconception # 1: My body will know what to do, so I don't need to take a childbirth education course. Truth: Your body will absolutely know what to do during birth! In fact, I wish more women trusted their bodies this way. However, while your body may know what it's doing, you may not. You could be left scared or concerned, wondering if this or that is normal. You could be confused about things you don't understand, and uncertain about what options you have at any given point in time. This fear and confusion can lead to what many in the birth world call the "Fear, tension, pain cycle." Basically, fear leads to tension and tension leads to more pain, which in turn leads to more fear. Taking a childbirth education course is one of the best ways to ensure that you and your birth partner(s) are confident and relaxed during childbirth and will allow your body to do what it already knows how to do. Misconception # 2: I'm going to do my own research about childbirth, so I don't need to take a childbirth education course. Misconception # 3: I'm planning to get an epidural, so I don't need a childbirth education course. Truth: While it is true that those who are planning an unmedicated birth may have a greater need for childbirth education, your desire for an epidural does not preclude you from taking a childbirth education course. The truth is, you are not likely to be at the hospital with an epidural already placed when your birth begins. There will be some time spent without that epidural in place and it will be immensely helpful to you to have some tools up your sleeve to help you through that early part of the birth process. There is also an occasional instance of an epidural not working, or providing limited relief. If one of these occasional instances happens to you, you will be so grateful for the techniques you learn in a childbirth education class. Also, even though you will have an epidural, your body and your baby are still going to go through the birth process. Taking a childbirth education course is the best way for you to understand what is happening and what options you have during your birth. Misconception # 4: I've already had a baby, so I don't need a childbirth education course. Truth: OK, I'll cut you some slack on this one, especially if you took a childbirth education course before past births. But if it has been a while and/or you didn't take a childbirth education course before your older child was born, you could still greatly benefit from taking a childbirth education course in order to refresh your memory, possibly learn some new things, and hear everything from a different perspective. For example, I had my first baby without using any kind of childbirth education. When I took a childbirth education course before my second was born, I understood things that happened in my first birth that I hadn't understood before. Those things stuck with me. Some of the content of the course also made more sense to me because I had the context of my first birth to put it in. My second birth was quite different from my first. A large part of that was due to the information I gained and the choices I made because of that information. Misconception # 5: A childbirth education course will try to push its own agenda, and I want to make my own choices. Truth: A good childbirth education course will present the options that are available to you, the benefits and risks of each, and how to find out that information about anything that may come up that you don't cover in class. Most childbirth education courses are geared to women who are seeking a particular type of birth, but all of the childbirth education courses that I have encountered are about helping women and their partners seek out the best birth for THEM and THEIR family. Misconception #6: I won't know if a childbirth education course is giving good information or if they are giving misinformation. Truth: If it is misinformation that you are concerned about, a good childbirth education course will list sources and resources where you may do your own research. These resources can be helpful in finding more information. They are sources that you may not have found on your own, presented in a logical and concise order. Hopefully, this has helped you understand how a childbirth education course can help you. Some feel that even though childbirth education may be helpful, it isn't something that is doable for them. Stay tuned for my next post, which will give you some helpful information to show you how childbirth education is a real possibility for you!